Watering Your Foundation - Foundation Watering Systems | Professional Engineering Inspections, Inc.
Watering your foundation during the hot summer months can reduce the potential your building will experience differential settlement for buildings resting on expansive soils. For the best results it is recommended that you install a dedicated foundation watering system as part of your yard irrigation system which, is run on a schedule, and as part of a complete plan that may also include root barriers and drainage improvements. 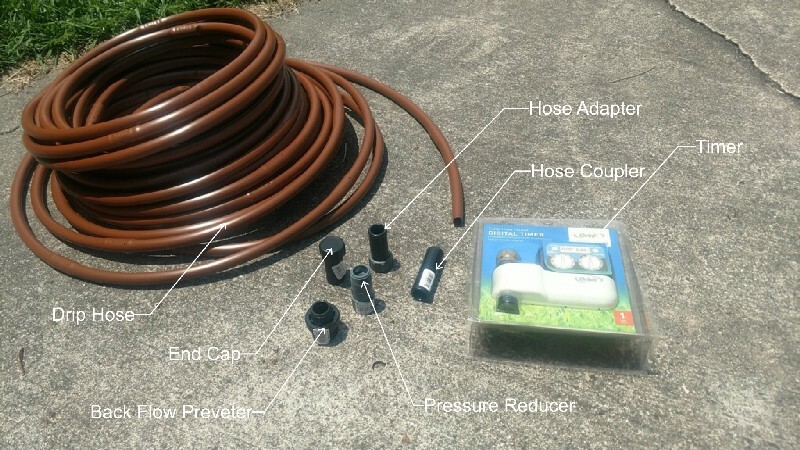 It is ideal to have a yard irrigation system, but if you don’t foundation watering can be accomplished by something as simple as an irrigation hose laid around the foundation, connected to a hose bib, with a simple battery powered timer control valve. There are a few material options for a home-built foundation irrigation system. In my opinion, for home use, the best and least difficult watering system to install and maintain is a drip irrigation system fabricated from parts you can get from your local box store. What I like the most about this type of system is that it can be quickly put together to manage a dry soil problem mitigating further foundation settlement and ultimately can be buried as a permanent system to manage foundation care with only a small amount of modification necessary thus providing a quality system. This is better than the temporary weepy pipe systems that we used to recommend for temporary use that only lasted a few months at most and did not do a good job of watering uniformly around the building. The inspiration for this article was based upon my own necessity and recent experience. 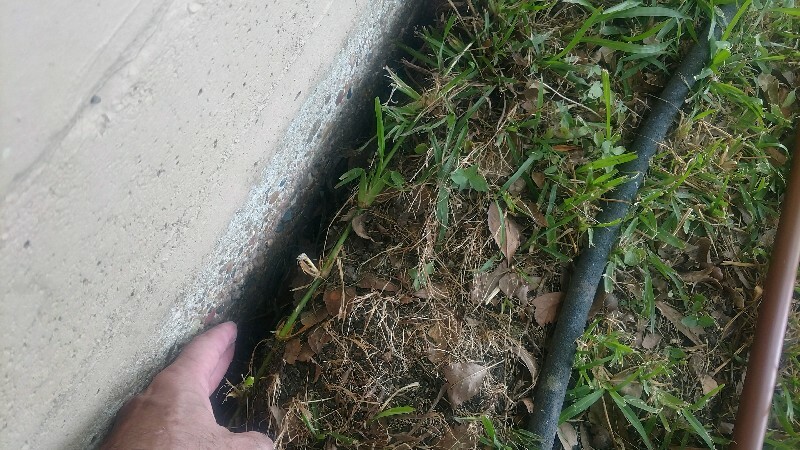 While I know that foundation performance in Houston often relies on good maintenance and watering, as a consultant I am often too busy to take my own advice. This was the case this summer at our office south of Houston, but it did provide a good opportunity to show a fast solution that can be migrated into a permanent one. The first step is to acquire the necessary materials to install a watering system. Drip irrigation hose is available from your local box store. While you can get better quality name brand materials from a local supplier, box store materials do work well and are a bit easier to source on short notice, and I was pressed for time. Most of the hose materials I have looked at include specifications for maximum allowable run for a zone. You should be sure to start any project collecting such materials for review to base your design. Prior to buying materials plan out your system layout. 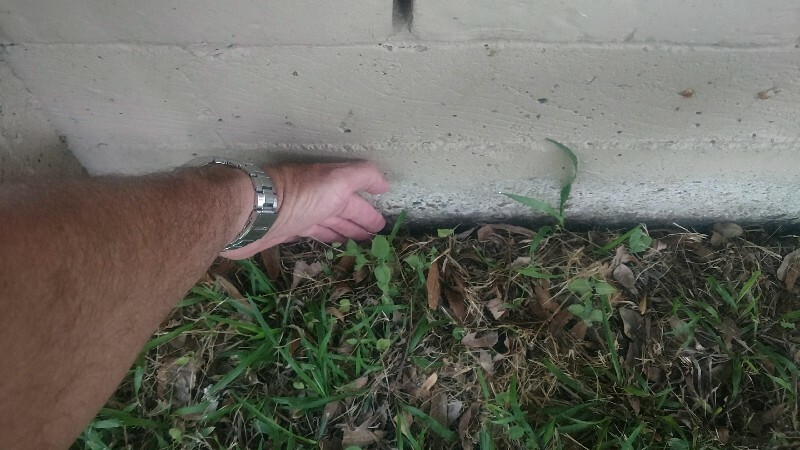 Take measurements around the perimeter of your building so you can limit your maximum runs well under the manufacturer’s recommended maximum hose length to ensure uniform watering, locate water sources, consider how you are going to control watering on a schedule, and be sure to include backflow prevention for safety. You will need the following as a minimum but use the manufacturer’s specifications and any local codes as a guide. Sufficient drip irrigation hose to install 1′-1.5′ from your foundation and concrete flatwork around the perimeter of your building. Coupling to connect sections of the hose where necessary. A back flow preventer if you don’t have one on your hose bib or water supply. End caps for each zone run to cover the end of the drip hose termination. A pressure reducer. Most drip systems operate at 25 psi and most Houston domestic water supply sources (hose bibs) run around 50 psi-60 psi. An adapter to connect to a hose bib or water supply. A timer or other method of control. Start off by creating as simple sketch of the perimeter of your building. Take measurements of the perimeter and mark them on your sketch. Mark the location of hose bibs. Using the manufacturer’s specifications for maximum run break the perimeter of your home into zones with the hose bibs providing a starting point for each zone. You will want each zone to be less than the maximum allowable run of the irrigation hose, which often is around 200 for drip irrigation hose. Install a timer and the hose assembly in accordance with the manufacturer’s requirements laying around the perimeter of your home no closer than 1 to 1.5-feet from the edge of the foundation. Be sure to install a backflow preventer. For the purpose of getting started and getting some water to the soil you can simply lay the hose on the soil exposed on the surface. You will eventually want to bury the hose to prevent it from becoming damaged by yard care. Typically these hoses are buried 6 inches to a foot deep depending upon the potential for damage due to gardening or other activities. 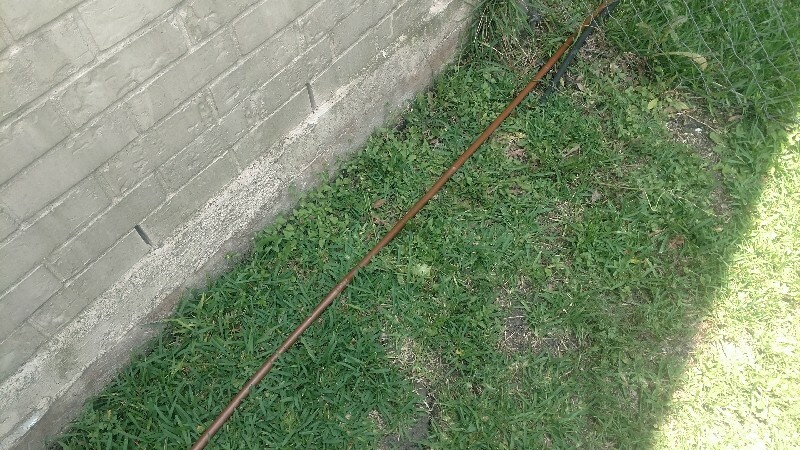 Place hose 1 to 1.5-feet from the foundation. You will need to set a watering schedule for your irrigation system. We typically recommend watering 2-3 times a day for 10-15 min; however, this varies by location, site conditions, and time of year. You can find additional information on our foundation watering webpage; however, this will require some testing upon initial setup. You should also be aware that watering systems are much less effective, or may have unplanned outcomes, under some site conditions such as the existence of large trees or poor drainage. Consider root barriers and your drainage prior to implementation of a watering system as outlined in our foundation care information. After installation of the system on our offices I determined we needed to get as much water to the soil as soon as possible to limit further shrinkage and improve foundation performance as much as possible. Initially I did not install a timer control system and allowed the system to water the soil until it refused further water. Due to the dry conditions and slow watering rate this was about 4-5 days. According to my discussions with the Texas Commission on Environmental Quality (TECQ) foundation irrigation systems are not typically considered yard irrigation when separately controlled. This means that you may be able operate a watering system for protection of your foundation even during watering restrictions. 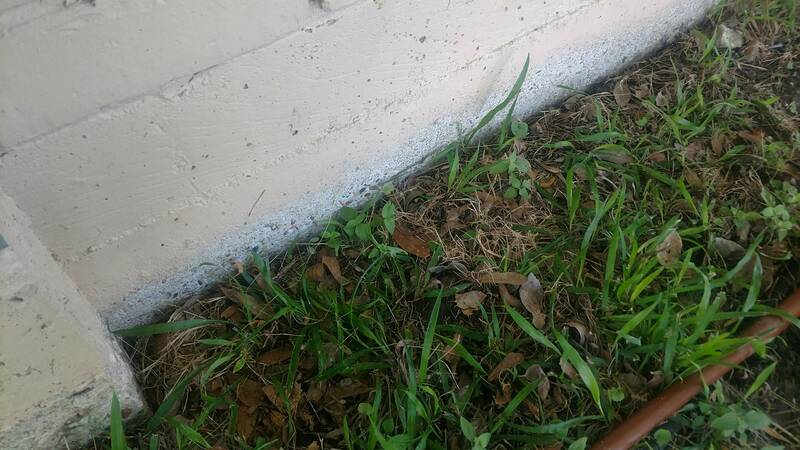 This is reasonable since this type of system uses significantly less water than a yard irrigation system, and protection of your foundation is critical in summer months. It is best to check with your local city as local ordinances may still apply. This article is not intended to be a comprehensive guide to foundation watering. There are other design considerations that go into a comprehensive design and can affect performance of your system and your homes foundation. If you wish to discuss this topic further schedule a foundation evaluation or contact our office.